In two different Aussie states this morning, oh about 30mins apart, The Everest picture became just a little more focused. I’ll start this by saying the concept of The Everest, a race over 1200m and worth $10 million, absolutely fascinates me. I know there are some pure of hearts who don’t like it or don’t think it will last – and that’s OK. But I’m in the other camp, so when I see things like the brilliant, astonishing speed 3YO filly HOUTZEN come back from a spell and win a trial, on the same day as the reliable, ultra fast campaigner REDZEL blows a trial apart – I get excited. Because they add new dimensions to the story in front of us already. In fact, their presence in the big race is going to dramatically effect the outcome. Ok, so the story so far: CHAUTAUQUA and SHE WILL REIGN, look certain to be there on race day. I’ve cobbled some thoughts together and keep in mind, the race is on October 14 at Randwick so we still have water to pass under bridges, weeks of sustained training still to come, oh and that really, really important issue – entry fee. It costs $600,000 to compete in this race, so connections will wait as long as possible before deciding on a start. But let’s suppose all goes well for all of the major players. This is the likely field. To elaborate on the trials this Monday morning, in Queensland, the flying Houtzen ran in a barrier trial at the Gold Coast with Jeff Lloyd on board. She led all the way and won as she liked by a big margin, eased down, and did what you would expect against the foes she faced. She looked swift, and sharp, and ready to rumble. In contrast in Sydney, Redzel, the Team Snowden-trained star who just continues to improve with age, led all the way to beat one of the best barrier trial fields ever gathered over 1045m. Kerrin McEvoy rode Redzel and this bomb proof speed machine, went to the lead from barrier rise and under a good hold, easily held them all at bay. Russian Revolution, who covered a little extra ground, tried to chase him down but couldn’t settling for 2nd spot this morning. Happy Clapper ran 3rd and his was a very neat trial as he made good ground late, but Redzel had all his measure as well. 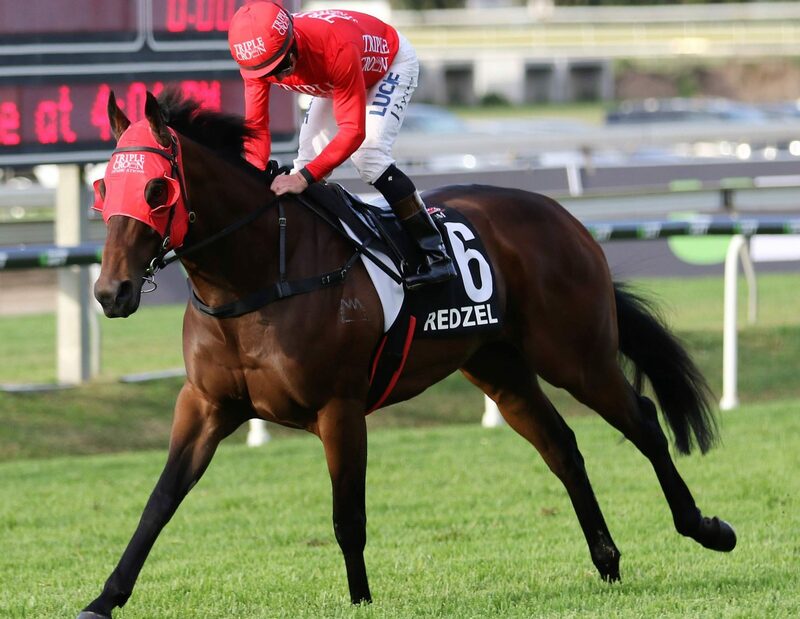 It was Redzel’s first real go since winning the Gr 1 Doomben 10,000 when last in work and it was impressive. In this trial too was The Everest bound English, who went to the line impressively for 4th under a firm hold, but again, Redzel looked better. Le Romain finish a nostril behind her with Ghisoni and last start stakes winner Invincible Gem also engaged. On August 25, which is what, 4 days away now, She Will Reign returns in a trial as well. That I’m looking forward to. By all reports she is bigger and faster than before. The great grey, Chat, is yet to trial this time up but the whispers are he is looking great. The interesting thing come race day is whether Houtzen, who will have a light weight, will press forward and take Redzel on in the early and mid stages. It would be suicide to do so, but both horses race best when allowed to lead.